Last year’s tragic shooting in Parkland, FL was a major junction in a problem spanning decades. In its wake, the government created the Federal Commission on School Safety. Over the next several months the Commission conducted meetings, field visits, and listening sessions. It spoke with school safety experts, educators, counselors, parents, students, and state and local officials. And in December, the Commission released its final report. Here are the key takeaways for helping keep students as safe as possible. A strong school community can help to prevent school violence. Teachers, parents, and even students themselves all have roles to play in school safety. With the help of government resources and local law enforcement, we can get ahead of potential issues by getting students the help that they need. Positive school climate: Students need to feel connected, not isolated. Schools should be proactive about cyberbullying, and they should have clear reporting systems in place that students feel comfortable using. Mental health: In addition to community support, students need access to school-based counseling. The Commission noted a lack of mental health professionals in schools, but phone consultations with them could help to expand and enhance care. Violent entertainment: Parents should be proactive about regulating their children’s exposure to violent media. The entertainment industry also plays a role in rating their content appropriately and providing information that helps parents make informed decisions. School discipline: It’s important to maintain order in the classroom, and teachers should be able to identify and address disorderly conduct. Administrations should ensure that faculty and staff are doing so with the most up-to-date information and best practices in mind. Law enforcement: Most school shooters obtain their weapons from family and friends, so states should promote legislation and training on safe storage of firearms. The FBI has also improved its Public Access Line, which it uses to receive and evaluate tips. The most important steps schools can take to mitigate the effects of a violent incident are in training and school security. Working together, communities can make sure everyone knows what to do in an emergency and how to use the campus’ defenses to their advantage. Threat assessment: Threat assessment teams help school communities identify concerning behaviors and implement systems for managing them before they escalate. Check out this recent post for more information on threat assessment teams. Training: All school personnel should participate in some form of school safety training. Federal, state, and local resources are available to help schools develop training that reflects a school’s unique needs. Troops to Teachers: The Troops to Teachers program attests that military veterans and retired law enforcement officers who choose to become teachers — perhaps with the help of reduced barriers to entry or other incentives — can bring leadership, experience, and support to developing school safety initiatives. Building and campus security: Every school is different. But each can identify its vulnerabilities with a thorough risk assessment. There are multiple layers to consider: entry points, classrooms, and other infrastructure should be appropriately secured. This is especially true of rural schools, where police response times may be longer. Federal, state, and local governments can provide invaluable resources for preparing schools for an active shooter situation. A practiced and engaged community is better equipped to respond and recover. Study old reports, create new ones: Schools can learn from the reports created in the aftermath of previous tragedies — the Columbine Commision, the Virginia Tech Commission, and the Sandy Hook Advisory Commission are all great places to start. Schools should also create reports of their own to improve their systems and methods. Prepare for press: Everyone from school administrators to government officials should have a media plan in place. The Commission recommends for coverage to focus on facts and victims, not the perpetrator. Customize your plan: Schools should adapt these general recommendations to meet their specific circumstances. This includes the age range and special needs of the student body, the campus design, and any relevant laws that should be taken into account. Our partners at Safe and Sound Schools contributed a guide to the Final Report on School Safety to help schools determine the most appropriate approach. America’s schools may never be free from the threat of mass violence. But community-based initiatives can help to keep students as safe as possible. 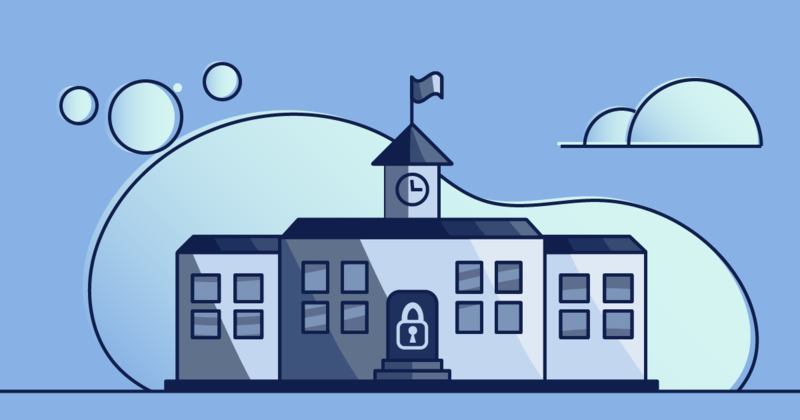 In addition to the recommendations of the Federal Commission on School Safety, Safe and Sound Schools provides an incredible wealth of resources for improving school safety. Monitoring online activities can alert parents and schools to potential issues as well. Bark and Bark for Schools help protect kids both online and in real life. Schools can learn more about our free monitoring service for G Suite and Office 365, and parents can sign up for monitoring their children’s personal accounts today.